PVPC is able to assist our member municipalities to identify and plan ways to meet their current and future housing needs. We are skilled at creating DHCD compliant Housing Production Plans and Housing Needs Assessments and Action Plans. We can also assist member communities with the creation of Analysis of Impediments to Fair Housing Plans. (See below for a sampling of the projects we have worked on in partnership with our member municipalities.) PVPC is also able to assist in planning and facilitating community conversations around housing challenges and needs in communities and with the implementation of key action items in these plans. Through this range of work we are working to create a region where all people are afforded the opportunity to obtain a safe, stable home in a community where they are able to prosper. PVPC also acts as the convener for the Pioneer Valley Regional Housing Committee. This group of planners, housing advocates, developers, lenders and community organizations meets quarterly to discuss housing successes and challenges across the region and to work on ways to advance the goals of the Pioneer Valley Regional Housing Plan. For more information on housing planning, contact Ashley Eaton (aeaton@pvpc.org). 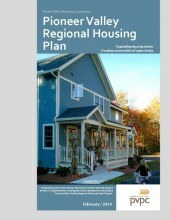 The purpose of the Regional Housing Plan is to identify opportunities related to housing market stability, housing affordability and fair access to housing in the Pioneer Valley in order to create a region in which all residents are able to choose housing that is affordable and appropriate to their needs. The plan is intended to assist municipal officials, state government, and fair housing associations in creating a sustainable region that empowers our urban, suburban, and rural places. The objective of the FHEA is both to ensure that the regional plans link fair housing considerations with issues of transportation, employment, education, land use planning, and environmental justice and to ensure that affordable housing is located in areas that offer access to opportunity regardless of race, family status, disability, source of income or other personal characteristics protected under federal and state civil rights statutes.